Cost To Build A House Per Square Metre A lot of builders and home owners talk about the cost to build a house in terms of dollars per square metre. The way this is calculated is by taking the total cost of the build and dividing it by the total floorspace of the home (not the land). I am personally not a massive fan of these calculations as the cost per square foot for a kitchen or bathroom is going to cost a lot more than the cost per square foot for an empty room. Thus your calculations can quickly become inaccurate if you are creating a large kitchen or bathroom space in the home. None the less it is an important measurement so here is a rough estimate of cost per square metre different types of houses may cost you. Extra Costs You Need To Take Into AccountThere are also some extra costs you need to take into account which could end up costing you a significant amount of money. It is difficult to estimate the costs without knowing anything about your land or your build. But you can use this as a rough guide. Soil Quality – The above estimations were built on the assumption that your plot of land has M classification soil (the best classification you can get). If your soil is more difficult to work with (eg. Clay, Stones, Boulders etc) then you can expect your costs to increase in the thousands of dollars. It is also important to note that a lot of project builders will not build on a block with a greater slope than 3 metres. Soil and Contour Test – This test will cost you around $1,500-$2,000 and is done to test your soil quality and the contour of your block. Bushfire Prone Areas – If you have a Bushfire Attack Level (BAL) attached to the property then there will be extra costs to ensure the property is safe during bushfires. 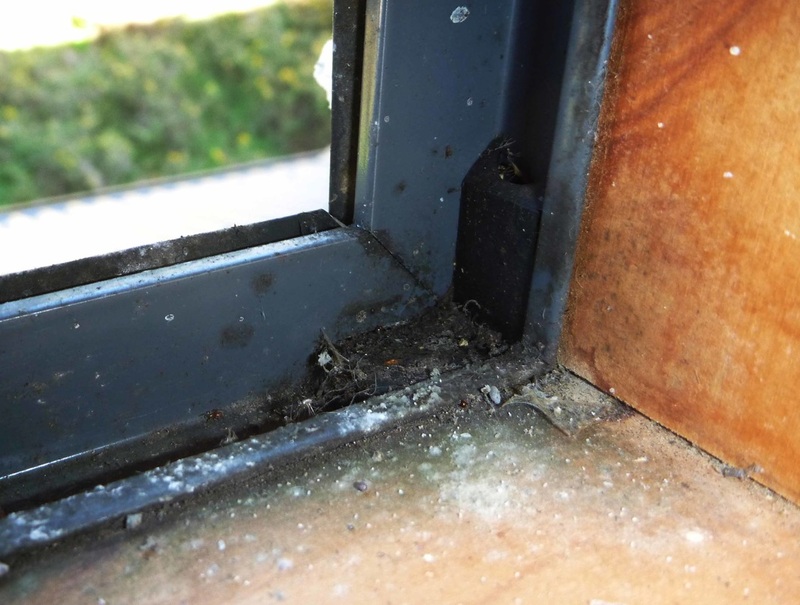 The fungal spores produced by common mould species are linked to some serious illnesses. A damp home doesn't only increase your risk of developing arespiratory illness such as asthma, it can actually cause a biotoxin related illness called Chronic Inflammatory Response Syndrome. The good news is, creating healthy, dry living conditions isn't hard or expensive... A lot of good advice on how to prevent moisture build-up in homes and how to remedy mould problems can be found online, so if you need specific advice I encourage you to do some research, based on your individual situation. In a nutshell however, creating healthy, dry living conditions for you and your family is based on your behaviour, as well as the design andmaterial choices of your home. Alternatively get into the habit of opening a windowafter you have taken a shower or when you cook. In order to have a healthy, dry home ideally you get the basics right: Buildings need to be weather tight,well insulated and allow for adequate ventilation. If you are building from scratch, this should be common practice. 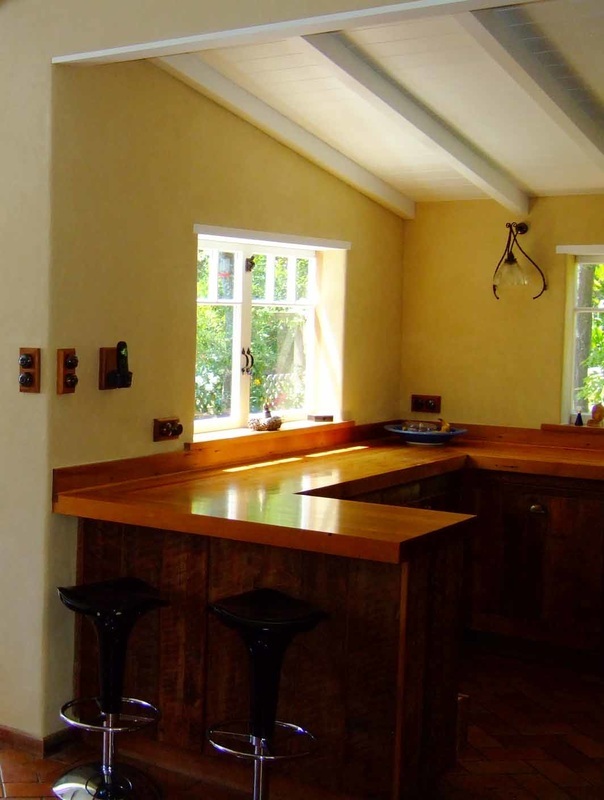 One thing however that is commonly overlooked is thermal mass. Earth is one of the best thermal mass materialsavailable, because of its slow reaction time and because it naturally regulates humidity. These remarkable moisture buffering propertiesmay cause people to believe that clay building products, by absorbing moisture, would be setting up the perfect conditions for the growth of mould, however the opposite is true: Ideal conditions for mould or rot are caused when a building material absorbs moisture and is unable to later release it, or when moisture is not absorbed but condensates on a surface. Check your home for mould today! 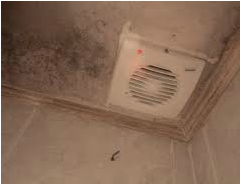 It could make a huge difference to your quality of life...I really encourage you to look out for any signs of mould and to be mindful of the moisture fluctuations in your home. Being in the know easily lets you manage this problem. Wow, such a useful post, thank you so much for sharing! I have some problems in my house with poor ventilation particularly upstairs; I can't leave the windows open when I am out all day because all the upstairs windows are too big and I'm not about to replace them. I've not thought about using vinegar and baking soda in the bathroom either, so I will definitely give that a try as it's really difficult to keep that room dry, especially because I can't leave the windows open after I've had a shower and gone to work. Verena MaederTrained in Architecture, Building Biology and Ecology, Verena builds on 25 years of hands-on experience creating healthy, dry living spaces using natural materials.